Canson Infinity Edition Etching Rag is a 100% cotton mould-made fine art paper that is reminiscent of the original etching and printmaking papers. 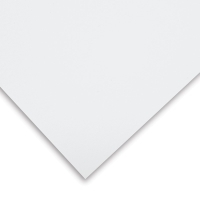 By using natural minerals in its manufacture, Canson has developed a smooth-textured paper with the purest white tone in the industry, high paper shade stability, and a resistance to aging. 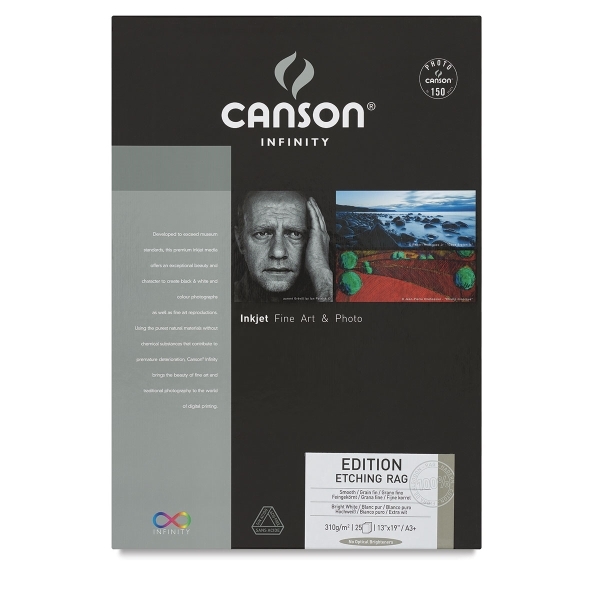 This museum-grade paper assures deep blacks, excellent image sharpness, and optimum color gradation, and its slight grain makes it ideal for printing detailed work, color photographs, and black-and-white portraits. Edition Etching Rag is compatible with pigmented and dye inks, dries instantly, is water-resistant, and contains no optical brightening agents. Internally buffered and acid-free, it was designed to meet the longevity requirements of galleries and museums.